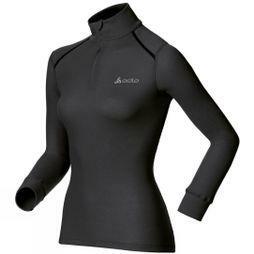 Garments from Odlo are uncompromising in their design and performance, delivering the highest levels of function, comfort and quality. They feature a stretch seamless construction that gives a superb dynamic fit, while contoured performance zones work effectively with your body, keeping exposed areas warmer and increasing wicking in hotter areas. Skins™ have been developed to let you ski harder and longer. The engineered gradient compression provided by Skins™ unique smart fabric has been proven to increase your performance through enhanced circulation, greater muscle support and improved body temperature control. Their Snowskins have an extra fleecy lining for added warmth. 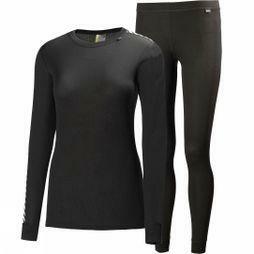 Helly Hansen baselayers are perfect for facing the elements. Their amazing hydrophobic Lifa* fabric moves moisture away from the skin creating a dry layer to keep you comfortable and warm throughout varying levels of activity. Icebreaker base and midlayers are made from New Zealand Merino wool. The wool’s natural wicking properties; breathability and warmth-to-weight ratio actually work to regulate your body temperature. Their layering system also means that garments will work together in extreme temperatures and will remain odourless for days. Made using advanced materials that deliver high efficiency insulation in a variety of weights, this form-fitted range is quick-drying and highly breathable, and has been designed to provide a warm foundation under mid-layers or to act as a primary layer on warmer winter days.